Today’s edition of Planet Waves FM looks at the shooting of Trayvon Martin. 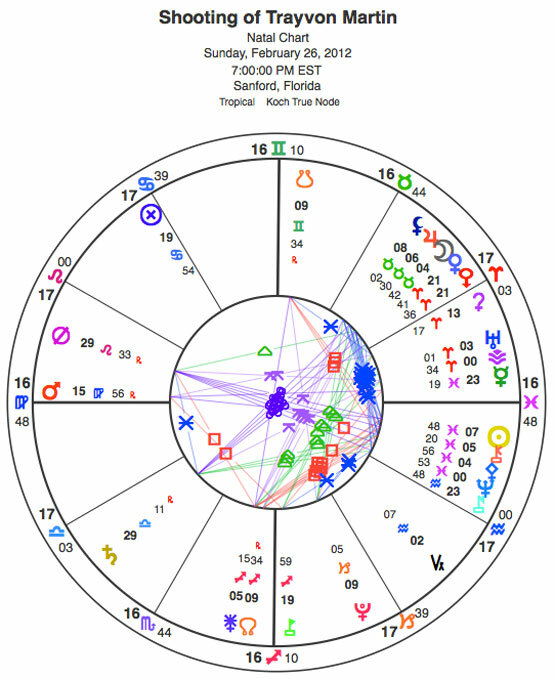 It’s a look at the situation from several angles — political, legal and astrological. 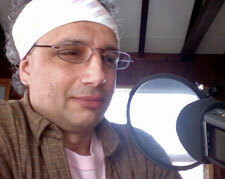 Eric Francis, host of Planet Waves FM. I cover the concept of the Stand Your Ground law, which is based on an earlier idea, the Castle doctrine — the one that says “a man’s home is his castle” — that is the basis of Stand Your Ground. However, it would seem that with everyone pretty much agreeing that the Stand Your Ground law does not apply in this case, from the lead investigator to the bill’s sponsor to Jeb Bush himself, clearly something is wrong. There is one idea I left out of the discussion: the duty to retreat. That’s the alternative to Stand Your Ground. In New York, for example, you have a duty to retreat from an attacker if you can. If you’re cornered by someone who is going to do you harm, or someone you’re protecting, your first job is to get to a safe place — then you can defend yourself if necessary. The purpose of this is so that people claiming self-defense don’t automatically get a license to kill. You can read more about that at the Wikipedia page on the Castle doctrine. 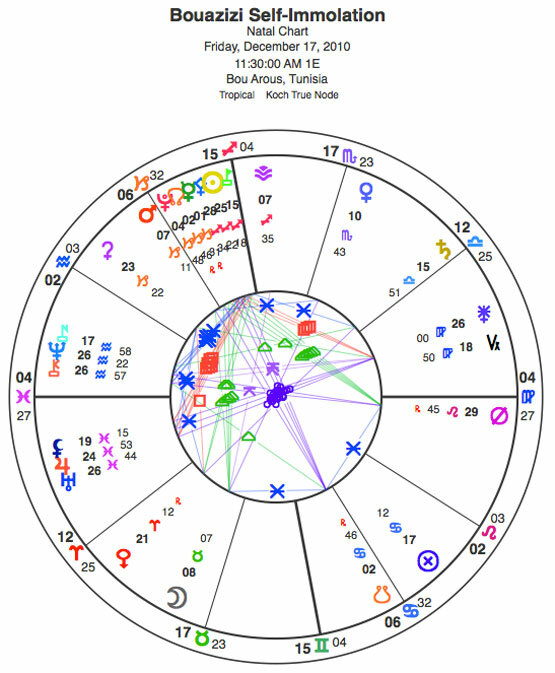 I include four charts below — the event, the two main players, and the event that started off Arab Spring from late 2010, published on Planet Waves or the first time. Additional research on this edition provided by Carol van Strum, Nikko Merrell, Amanda Painter, Fe Bongolan, Genevieve Hathaway, Adam Gainsburg and Sarah Bissonnette-Adler. Trayvon Martin -- noon chart. 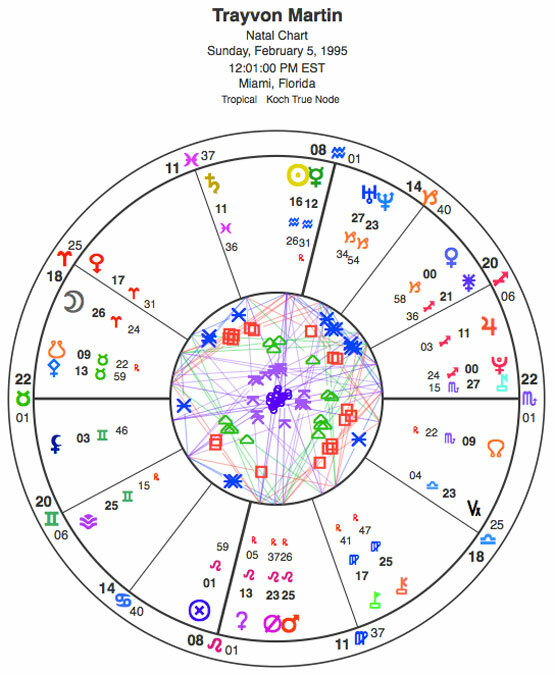 George Zimmerman - noon chart. 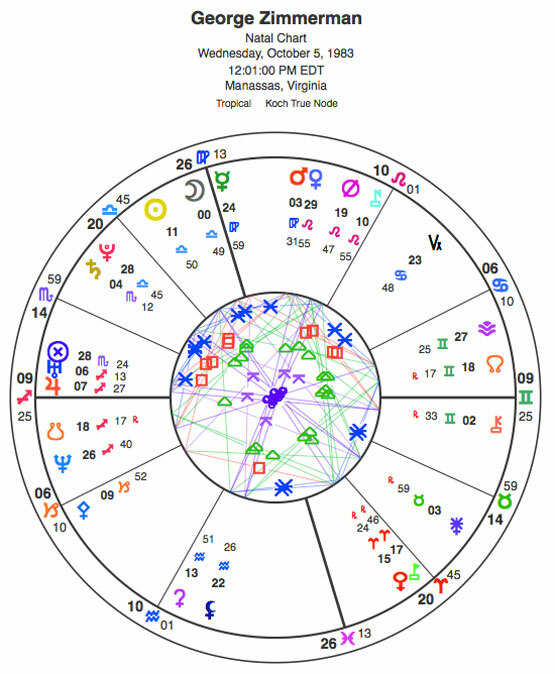 Did you know that Planet Waves offers you a variety of astrological readings for every sign in audio format including birthday reports? You’re invited to check them out in our audio store. If you’d like access to Eric’s weekly and monthly horoscopes, visit this link to access your free trial to our premium twice-weekly astrology service.